The winter season is normally a time of holiday cheer, when individuals have the opportunity to catch up with loved ones. While the freezing temperatures may not be a top concern for your holiday party, the pipes running throughout your home may be a different story. 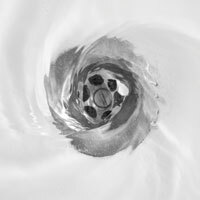 The rapid changes in temperature and more frequent use of facilities due to guests staying can create a major strain on your home’s sewer system. Plumbing problems never appear at convenient times, and when they do develop, the costs, both financial and emotional, can be a lot to deal with. 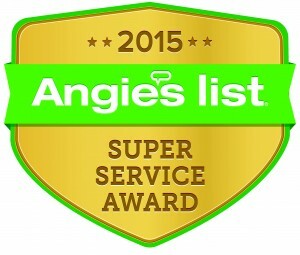 Action Jackson Plumbing is proud to be your reliable source for quality plumbing services for Edwards and beyond. Our certified plumbers are here and ready to help you restore your home’s plumbing 24/7 to keep you safe and comfortable throughout the holiday season. The last thing people want to deal with is plumbing problems caused by winter temperatures. Today, we have a few tips that may prove beneficial for keeping your water and sewer system in good shape. If you’re in need of professional sewer inspections, repairs, and more, be sure to contact our plumbing company in Washington for service! The number of older homes in the Pacific Northwest means that many homeowners understand what it’s like to deal with small leaks. Small leaks sink great ships, and nobody wants to deal with the cost and stress of fixing a grounded vessel. Be sure to inspect your home for leaks and puddles by checking areas such as your laundry room, kitchen, and bathrooms. Any pipes that drip, leak, or look worn-out and rusty should be rectified now as opposed to later. 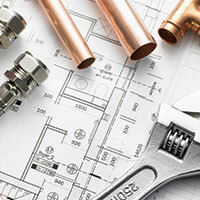 Our residential plumbers can come in and offer fast, effective repairs for any leaks in your home. Proactively taking care of this task will help you to avoid bigger plumbing problems and mold issues later on. One of the biggest tasks involved with protecting your home’s pipes is to simply keep them from freezing. Even with insulated piping, it is possible for freezing temperatures to wreak havoc within your home. The Action Jackson team has responded to service calls where the homeowners came home from a vacation to find that their pipes froze, burst, and subsequently caused massive amounts of damage to the property. Be sure to check your sewer and water lines to ensure that uninsulated pipes are covered with a foam product that is both affordable and easy to install. If the temperatures in your home are not high enough to keep your pipes safe, it may be wise to speak with an HVAC expert for heating advice. Water heaters are expected to work quietly for years and years with no issues. Unfortunately, this low-maintenance equipment means that homeowners rarely check the tank for problems. Be sure to inspect your water heater before the winter season, checking for signs of corrosion and damage. Draining your water heater is one effective way to clear out the gunk and sediment that settles at the bottom of the tank. When left to sit, this material can accelerate the corrosion process, causing major leaks and appliance failures. Flushing your water heater will also help to improve the water quality. One common problem we’ve found here at Action Jackson Plumbing occurs when freezing temperatures set in and people still have garden hoses attached to the building. When frozen, the water inside the hose will begin to expand, damaging your hose and pushing that chilled air and moisture further into the line. If your faucet and attached water line freezes, the pipes can suffer extensive damage. It’s best to simply detach the hose and keep your home safe from external freezing elements. Your sump pump is in place to prevent backflow and flooding complications, and it works 24/7 to keep your property safe and dry. Unfortunately, the combination of heavier use and freezing temperatures can cause your sewer lines to back up, leading to a sump pump that fails to work properly — it can even freeze. When checking your water heater, be mindful of your sump pump. Simple cleaning measures can help to keep everything clear for the holiday season. When the freezing temperatures set in in Washington, homeowners should be cognisant of their sewer and water lines to ensure a happy, healthy experience for both inhabitants and guests. 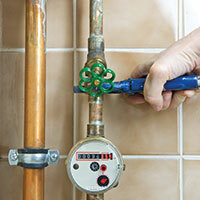 Failing to properly care for your home’s plumbing can result in costly repairs. Anyone in need of top-notch plumbing services in Edwards and the surrounding areas can benefit from contacting our team of experts for assistance. Action Jackson Plumbing places your needs and concerns first, offering residential services that range from simple sewer inspections to major repairs. If you’re looking for a seasonal inspection, or you are facing a plumbing emergency, be sure to contact us anytime for assistance!